The Alumni social calendar culminates with the Reunion each June where graduates enjoy the opportunity to reconnect with faculty, as well as reunite, mingle, and network with each other in person. 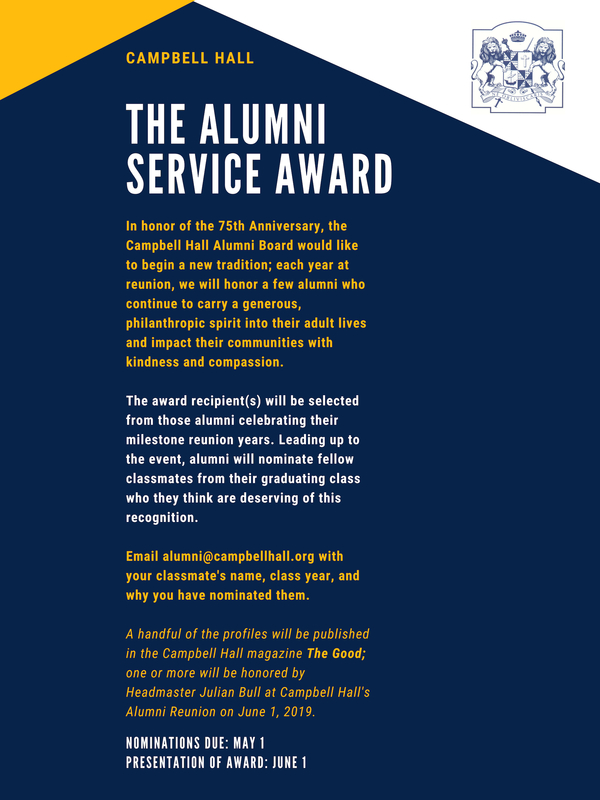 In honor of the 75th Anniversary, Campbell Hall will host a special gathering on campus for all alumni. *Disclaimer: Alcohol will be served. Must be 21 or older to be served. Please bring ID for check-in. Please contact Aubrey Rakoski at alumni@campbellhall.org or 818.505.5385. 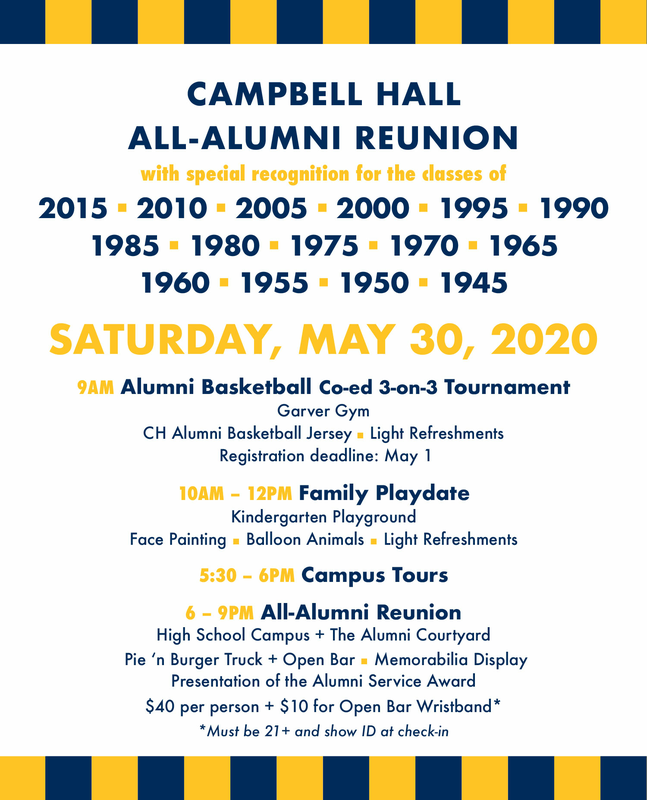 In June, alumni return to CH to celebrate their milestone reunion, connect with friends and teachers, enjoy dinner together, and tour The Arts & Education Center.